Glass, Wine and Airplanes! – Let's Go RVing! We decided to go back to Corning today to finish the tour (an impossibility) and Jerry wanted to try the glass blowing. I had decided not to make anything since my experience with making the ornament while in Louisville didn’t have a good ending (my ornament exploded one evening). When we got there though and started talking about it I decided to make a flower. Since the class wasn’t until noon we walked around through some more of the galleries. We’ve spent over four hours here and I still don’t think we’ve seen everything. I made my flower first and it was a bit more involved. 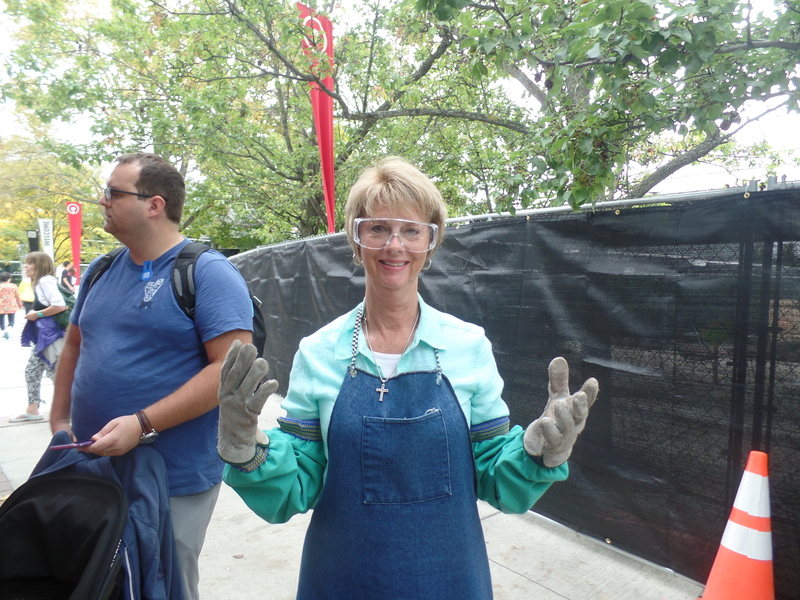 I had on an apron, arm covers and gloves and then used a tamp and tongs to design it. The instructor was very helpful! Jerry made a pumpkin and he actually got to blow the glass. Actually he did less than I did and I think he wishes he had done the flower. We’ll pick them up tomorrow. When we left the museum we just sat in the car and ate our picnic lunch. Then we headed to Hammondsport to Dr. Frank’s Winery. Hammondsport appears to be a small town, more prosperous than many of the towns or villages we have been through. There were lots of people wandering around. It has been named America’s Coolest Small Town! As we rode out of Hammondsport toward Dr. Frank’s Winery we passed a number of different wineries as we were on the Keula Wine Trail. There were quite a few people at Dr. Frank’s. 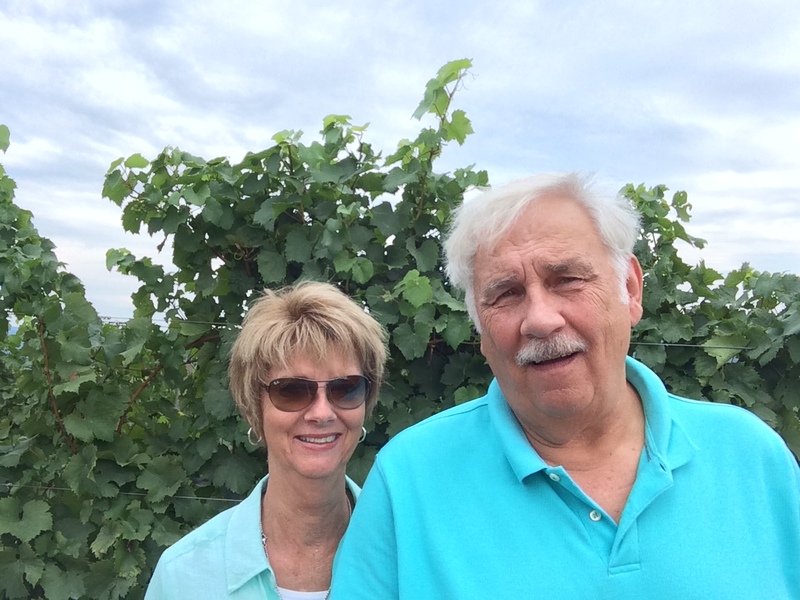 Jerry and I wandered around a bit, took some pics with the vineyard in the background, our first selfie. Then we went in for the tasting. I did attend the tasting but Jerry went in the store and then outside. We only tasted six wines so it went quickly. Granted, I am not a wine enthusiast but I really did not care for any of the wines. I think it has more to do with my palette than with the wines as everyone else seem to be enjoying them and the winery has won many awards. We left the winery and Jerry decided to try a short cut out – yep, we ended up on another dirt road. I just burst out laughing but at least we were in a car and not in a motor home towing a car. We stopped by an overlook and took a few pictures. The view overlooking the sloping ground and the Keuka Lake is breathtaking, so serene and peaceful. When we returned to Hammondsport we rode around the town square trying to decide if we wanted to stop but decided against it so we headed on to the Glen Curtis Museum. The museum is similar to the Corning Museum in that you could spend countless hours in there and not see everything. 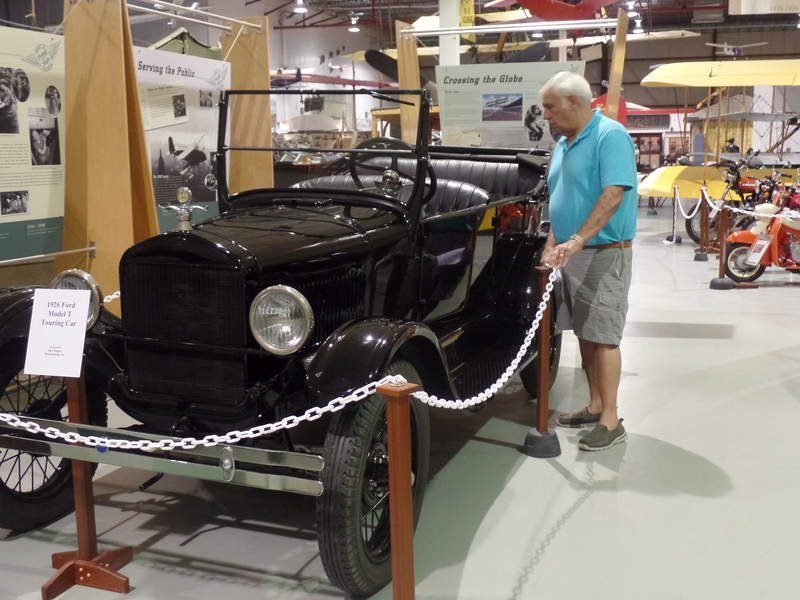 There were lots of planes, motorcycles, old cars and various machinery. Unfortunately Curtis died at the age of 52 following appendectomy surgery. It is amazing to see how much he accomplished in his short life and one can’t help but wonder what else he would have done. We didn’t stay long as we were getting tired so we headed back to Watkins Glen. I called Mom and chatted with her briefly and then called Donna. I had texted her telling her that Ken would love the museum. After several texts I gave up and called her! A quick trip to the grocery store and then steaks on the grill. I finally found the State-Old Dominion game on the “radio”. Jerry is a happy man now. Thanks! We loved western New York. Corning takes several day. We were there three days and still didn’t see it all!